'Gator' is a two-bladed chainsaw, specialized for cutting thicker branches and thin trees. Because of its two bars, this saw can cut faster, safer and more efficient at the same time. The lower bar of the chainsaw is able to move downwards in order to fit the particular size of different branches. It simply opens up by pushing the device against the branch or tree. While sawing, the lower bar automatically tries to go back in its original position and quickens the cutting process. Each bar is additionally covered by a safety hull, which are both mounted moveable to open up while cutting (see explanation). 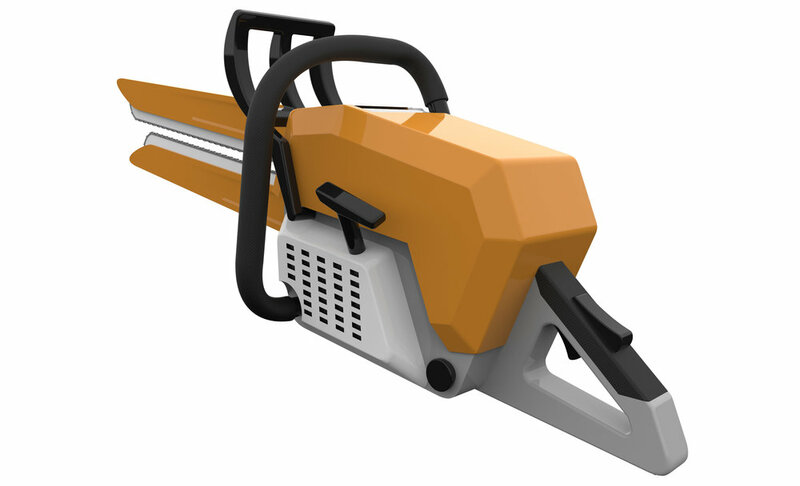 To simplifying the positioning of the chainsaw at the start of cutting, the upper blade is slightly longer than the lower one.